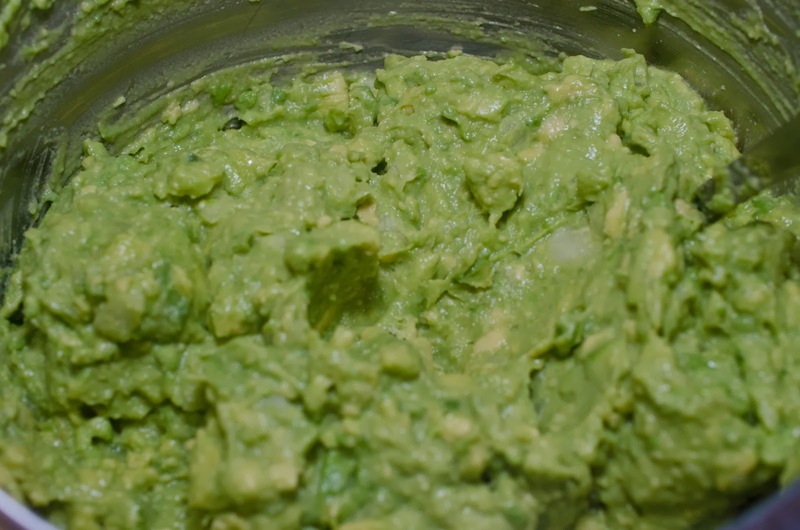 I love Guacamole, funny thing is my children sing a song "We love Guac, we love Guac, we love Guacamole." The funny part is they don't love guacamole and only one of my four children will even eat avocados. To round out our Carnitas burrito we needed some Guacamole. 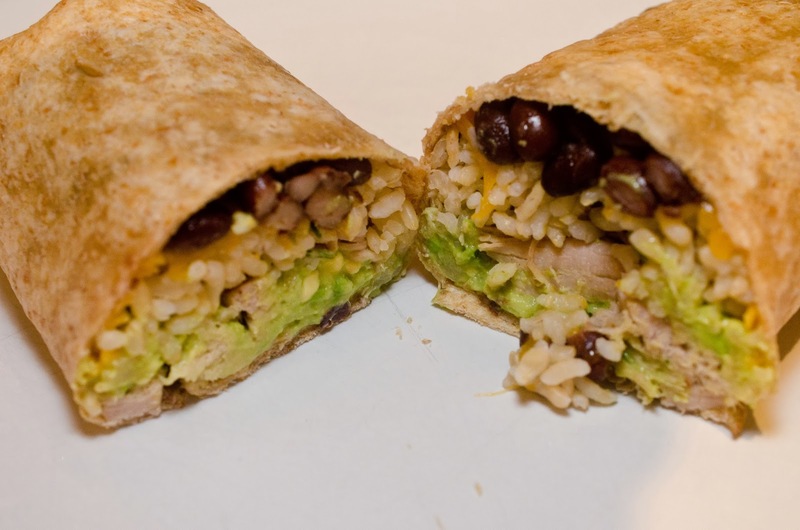 This is a very easy guacamole, I don't add very much. My friends Bridget and Whitney came over to help us eat the Carnita's, beans, rice, and they helped make the guacamole. homemade but they are whole wheat. You can see the yummy guacamole. 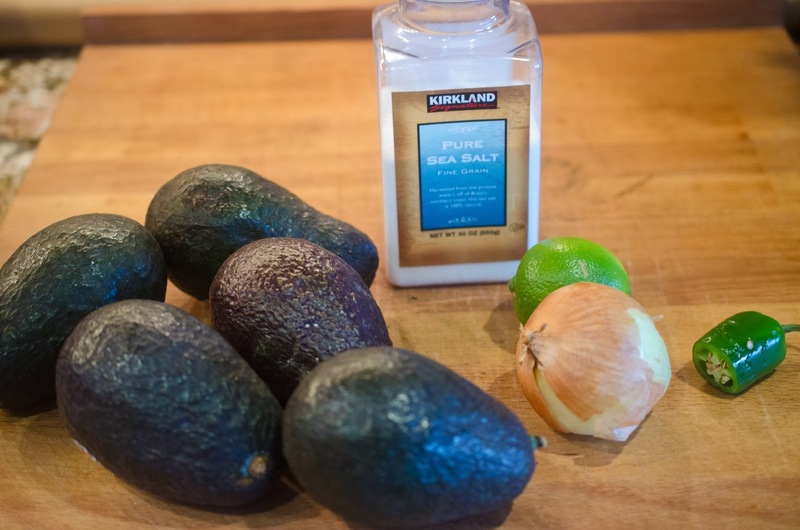 Scoop the flesh out of the avocados and put into a small bowl. Peel and finely dice onion and add to avocado. Cut and remove seeds and white veins of jalapeño. Finely dice the jalapeño and add to avocado. Roll and press lime on counter to release juice. 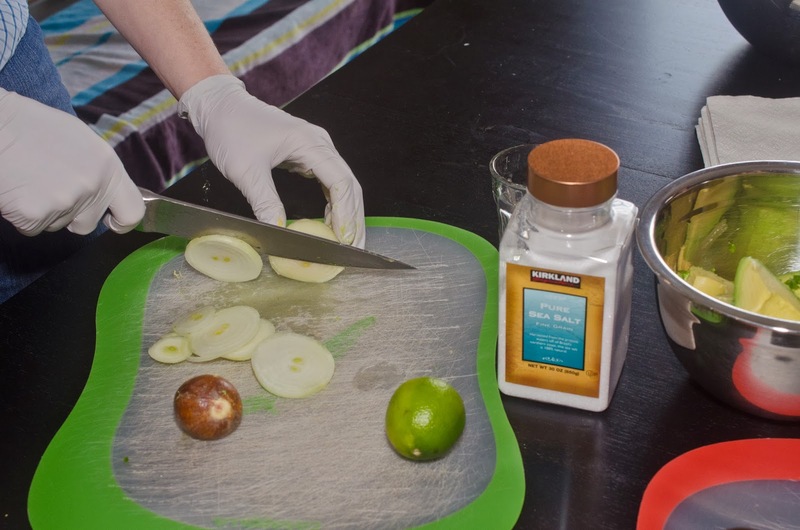 Cut lime and squeeze juice onto avocado mixture. Lightly mash avocado mixture with potato masher. 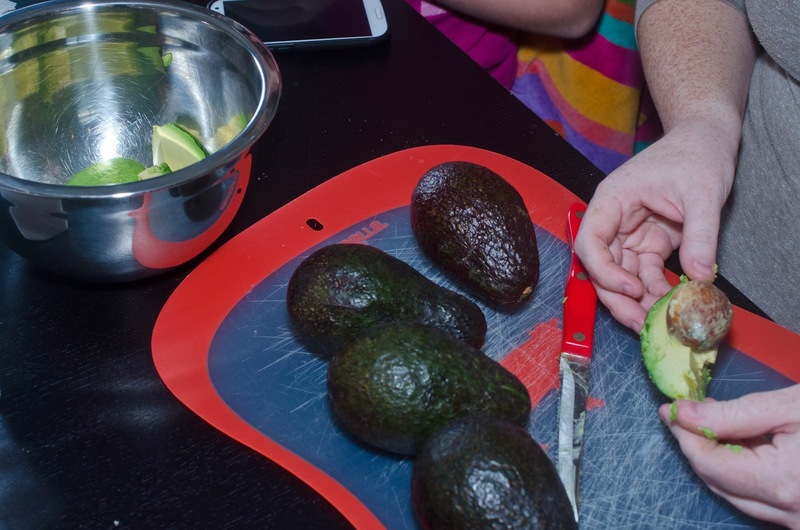 Remove pit and scoop the flesh out of the avocados and put into a small bowl.